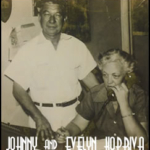 Kopriva Body Works was founded by Johnny and Evelyn Kopriva, opening for business in 1930. 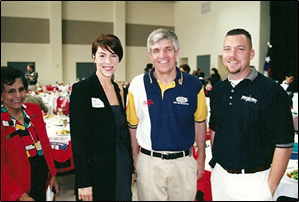 Houston was a community of approximately 200,000 residents. The East End neighborhood, where the company operated, was served by street cars along brick lined streets. 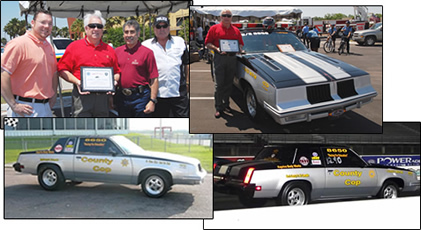 After 78 years of business, many satisfied customers and loyal friends, as well as their children, are still using our services. Throughout the years we have developed a reputation for uncompromising quality and friendly service. After a fire destroyed the original building in June 1948, the business moved to the corner of Lockwood and Harrisburg where we have continued to operate for 6 decades. 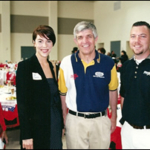 improvements brought about dramatic changes to Kopriva’s, as well as the auto industry. Auto air conditioning, power steering, power brakes, new innovations in paint composition that were a result of World War II, changed the way cars and trucks were repaired. Foreign cars such as Mercedes and Volkswagon were introduced from Germany as well as Jaguar, Triumph, and Austin-Healey from England. 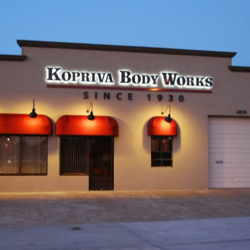 These new additions brought about a change in auto repair which Kopriva’s adapted to effortlessly. We have built a reputation for quality foreign car service. 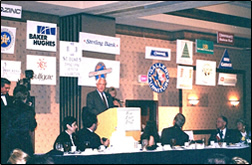 business in 1988. Immediately, plans began to upgrade and renovate the existing building, as well as 7,000 square feet of additional workspace in order to accommodate the business steady growth. 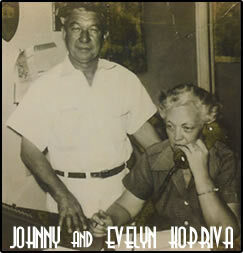 In 1997, Kopriva’s became a third generation company when John’s daughter, Lara and son, David, joined the firm. Please feel free to call or come by anytime for more information or a shop tour. 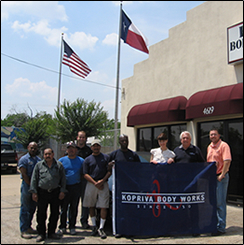 Kopriva Body Works puts our family name on every product we deliver, so you can count on uncompromising quality…second to none. their damaged vehicles off for repair and riding rail back to downtown Houston or to the Medical Center.